The Lincoln Stars will continue their push for one of the top two spots in the western conference standings this weekend when they take on the Tri-City Storm, and the Des Moines Buccaneers. The Stars will host the Storm tonight at the IceBox. Saturday evening, the Stars will be in Des Moines to battle the Bucs. The puck will drop at 7:05pm for both games this weekend. If you are unable to make it any of the games this weekend, you can follow the boxscores online via Pointstreak, listen to Stars radio announcer Mike Melbye on KLMS 1480 AM, or watch the games on FASTHockey for a fee. The Stars currently sport a record of 34-18-4 (72 points) and are in second place in the USHL Western Conference. Lincoln is only one point behind the first place Omaha Lancers (35-19-3, 73 points) and the Stars have one game in hand.. Although the Lancers are in first place for now, the Stars (.643) have a better winning percentage than Omaha (.640). The Third place Waterloo Blackhawks (71 points) are only points behind Lincoln, and three points out of first place. Click here to see the current USHL standings. 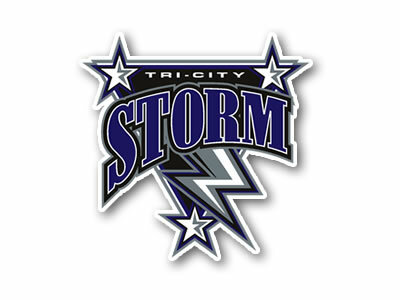 First up for the Black and Blue this weekend will be the Tri-City Storm (25-31-0, 50 points, sixth place in the USHL Western Conference). This will be the eighth and final time these two teams face each other. The Stars hold a 4-1-2 record in seven regular season games against the Storm this season. In three games against Tri-City at the IceBox, the Stars are 2-0-1 and have outscored the Storm 15-6 in those three contests. However, the Storm have won two of the last three meetings against Lincoln. 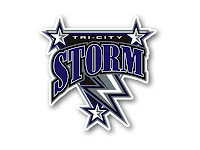 Although the Storm are firmly in sixth place, they have yet to clinch a playoff spot. They are five points ahead of the Des Moines Buccaneers for that last playoff seed in the west, so the Storm still have a lot to play for. They have who I think is the best goaltender in the Western Conference in Adam Wilcox. Wilcox is capable enough to stand on his head and win games for the Storm that they have no reason winning. Wilcox is 3-3-0 in six games against Lincoln this season, with a 3.29 goals against average and a .911 save percentage. 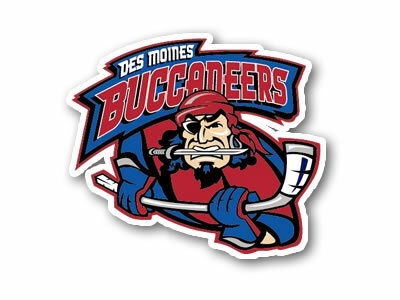 On Saturday, the Stars will travel east to Des Moines, Iowa to take on the Buccaneers (20-31-5, 45 points, seventh place in the USHL Western Conference). This will be the sixth and final time the Bucs and Stars will play one another this season. The Stars will be going for the season sweep Saturday night, as they hold a 5-0-0 record against Des Moines this season. At Buccaneer Arena in Des Moines, the Stars are 2-0-0, and have outscored the Bucs 12-8 in those two games. The Stars have scored at least five goals in every game they've played against the Buccaneers this season. Stars goaltender Charles Williams, who played for the Bucs in the 2009-10 season, is 5-0-0 against his former team this season, with a 2.36 goals against average and a .930 save percentage. Judging by his numbers, Charles must really enjoy showing the Bucs that they made a bad decision by letting him go. The Bucs recently fired head coach Regg Simon after the team struggled this season down the stretch, losing seven in a row. Click here to read more about Simon's dismissal from the team. Since the firing, the Bucs are 0-2-1, and are quickly falling out of contention for that last playoff spot in the western conference. This team is struggling mightily, and all indications point to an early exit and no postseason play. These two games this weekend are a great opportunity for the Stars to get four points and potentially move into first place in the west. Lincoln also needs to create more breathing room between them and the rising Waterloo Blackhawks. The Stars have a combined record of 9-1-2 against Tri-City and Des Moines, so going from prior history, you'd think Lincoln would have a pretty good chance at wrapping up four points. However, both teams are still fighting for that last playoff spot in the west, so they can be dangerous. Four games remaining in the regular season! Time to shine!